In a recent conference with its industry partners, NASA outlined the next phase of its strategy to enable the certification of commercial crew transportation systems to and from the International Space Station (ISS). The goal is to return domestic launch and transportation capability by the year 2017. Phase 1 of the certification strategy, the Certification Products Contract (CPC) phase, was awarded last December to SpaceX, SNC and Boeing for amounts that did not exceed $10 million per company. This procurement contract is based on the Federal Acquisition Regulations (FAR) and its deliverables include early life-cycle certification products (alternate standards, hazards analysis, and verification, validation, and certification plans). Phase 2 of the strategy, the Commercial Crew Transportation Capability (CCtCap) phase, should also be a FAR-based procurement contract – more specifically, it should be a Firmed Fixed Price Contract under Part 15 of FAR. 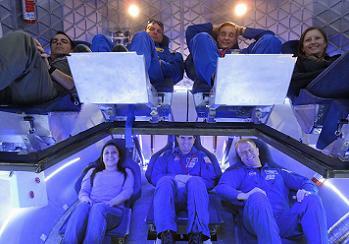 This contract should be awarded in the summer of 2014 and involves the final Design, Development, Test, and Evaluation (DDTE) activities that are necessary to achieve NASA’s certification of a crew transportation system (CTS) to the ISS, along with execution of post certification missions (PCM) to the ISS. Achieving certification under CCtCap means that the contractor’s transportation system has met the Agency’s safety requirements for transporting NASA’s crew to the ISS. As detailed in a recently issued draft request for proposal (draft RFP), CCtCap should include four separate items: The first item relates to the DDTE/Certification of the crew transportation system and the purpose of this item is to complete DDTE activities and certify the company’s system to NASA’s requirements for safely transporting NASA crew to the ISS. It must include at least one crewed test flight to the ISS. 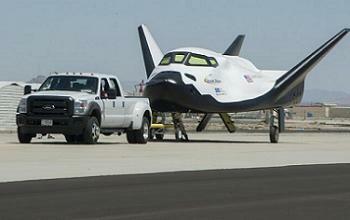 However, NASA expects that most companies will propose more than one test flight including an unmanned test flight. Ed Mango, program manager of NASA’s commercial crew program, indicated at the conference that the base period for the DDTE/Certification item is planned to be from July 2014 to September 31, 2017. However, he emphasized that the actual end date will depend on the proposals. The second item relates to post certification missions (PCMs) and its purpose is to perform missions to the ISS. After CCtCap award and after certain criteria are satisfied, NASA may request a proposal for a PCM. The minimum quantity of missions guaranteed to be ordered for this item is two. The maximum number of all PCMs awarded to all CCtCap contractors is six. To the extent that they do not overlap with the existing Soyuz contract, post-certification missions are expected to be used to rotate crews on the ISS. Ed Mango mentioned at the conference that post-certification missions can be ordered thru December 31, 2020. The third item relates to special studies and its purpose should be to perform special studies, tests and analyses, as needed by NASA to perform risk reduction-type activities that are not required under the other items. The maximum potential total value of all special studies tasks which may be ordered for a contract is $150M. 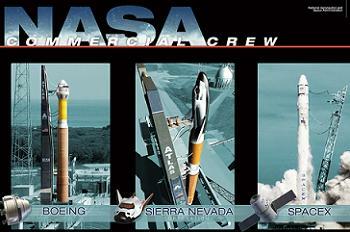 The fourth item is aimed at allowing a contractor to provide cargo in addition to the minimum NASA requirements that is required from commercial crew providers – under section 3.1.3 of the 2011 draft CCT-REQ-1130 Document, the requirement was for a minimum of pressurized cargo of 100 kg and 8 cubic feet of stowage volume; and for an additional 100 kg for any seat not occupied by a crew member. This item is optional and thus does not have to be proposed by a commercial crew provider, and can be ordered in conjunction with post-certification missions or certification flight tests. It is not intended to be a replacement for existing cargo services, but should allow NASA to establish an understanding of the full capacity and pricing of the proposed crew transportation system. However, Ed Mango specified at the conference that there should be “no negative impact to the evaluation for not proposing this capability” given that it is not a requirement. An item of interest in the RFP that could impact the timing of the certification test flights and of the post certification missions is the docking system that will be used on the spacecraft. Each commercial crew provider must determine their approach to enable docking their spacecraft with the ISS, with the draft RFP documentation indicating that one option is for the government to provide NASA Docking System (NDS) units to commercial crew providers as Government Furnished Property (GFP). 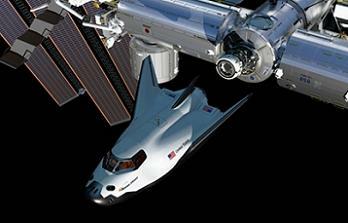 The Government will make available a total of four NASA Docking System Block 1 units on a no charge-for-use basis. If there are multiple contract awards, the available units will be distributed equitably. The first NDS flight unit will be available in February 2016 (the other units will be available later in the same year). The commercial companies will be responsible for any NDS system above this quantity and must determine their approach to obtain or build additional NDS units. 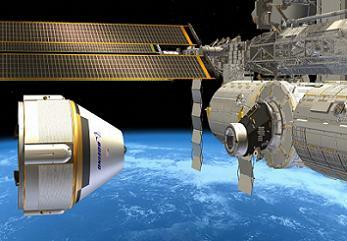 Another option is for government to provide NDS Engineering Data for the commercial crew provider to build the NDS. The preliminary data (build-to-print) would be available in November, 2014 and the final data would be available by June 2016. Another potential option would be for the commercial crew provider to design and build its own unique docking system that is compatible with NASA requirements (under the SSP 50808 Document). If this option is chosen by a commercial crew provider, the Government would not furnish any hardware, data, or services for the docking system of the company. Mr. Mango indicated during the conference that “NASA retains the responsibility to ensure a crew (search and rescue) capability exists for ascent and reentry phases of flight”. 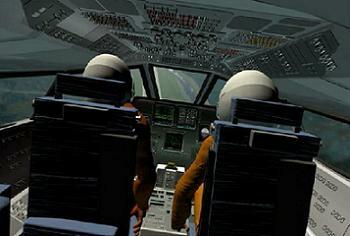 However, the company still has certain responsibilities as it is required to ensure safe landing in emergency situations (pad/ascent aborts or emergency re-entry/landings), is required to provide crew survival capability for 24 hours after landing and must also provide for operational interface and coordination with NASA for the search and rescue capability. The company’s design will be required to interface with the search and rescue services in order to ensure the survival of the crew. 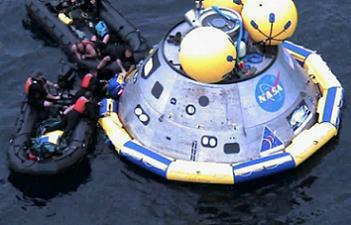 The commercial crew provider will also be required to provide items which are specific to their design such as procedures to extract the crew from the vehicle (e.g., hatch opening, hazards to avoid), training support for search and rescue forces (e.g., vehicle mockups, trainers) and rescue equipment (e.g., floatation collar, sea anchor, ascending ladder). An item of interest in the draft RFP that could have an impact on the price of the certification test flights and of the post-certification missions is the requirement to obtain third party liability insurance for activities that are not covered by the licensing of the Federal Aviation Administration (FAA). Third party liability includes damage to or loss of property owned by a third party or third party personal injury or casualty. The draft RFP indicates that FAA licensing is not required for certification test flights but should be required for contract launch and reentry operations performed under post certification missions. The commercial crew provider’s liability associated with activities related to launch and reentry operations under a post-certification mission will be governed by the FAA license and its related laws and regulations. For all contract activities not subject to an FAA license, the draft RFP includes a clause on third party liability that requires the commercial company to obtain, for each flight or mission, the maximum amount of insurance below $500M that is available in the commercial marketplace at a reasonable cost. The draft RFP indicates that third-party claims above this insured amount but not exceeding $1.5 billion can be submitted to the government for payment. According to the draft RFP, a commercial crew provider can propose to manifest a commercial passenger on a post certification mission. 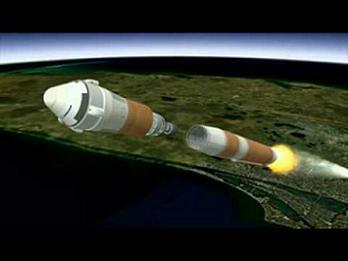 It can also propose non-NASA cargo or payload. The draft RFP indicates that NASA maintains the right to approve or disapprove the passenger(s), the non-NASA cargo or the payload proposed to be manifested on a post certification mission. The commercial crew provider must address the post-certification mission price adjustment or other in-kind consideration for NASA in exchange for allowing the commercial passenger or the non-NASA cargo or payload onboard. However, Mr. McAlister admitted that NASA is unlikely to continue carrying three providers during the CCtCap phase. The final version of the RFP should take into account feedback from industry on the draft version and should be released in October 2013. Interested companies should have a few months to respond to the request since proposals for CCtCap should be due in December 2013. Awards for CCtCap are currently planned for July 2014.